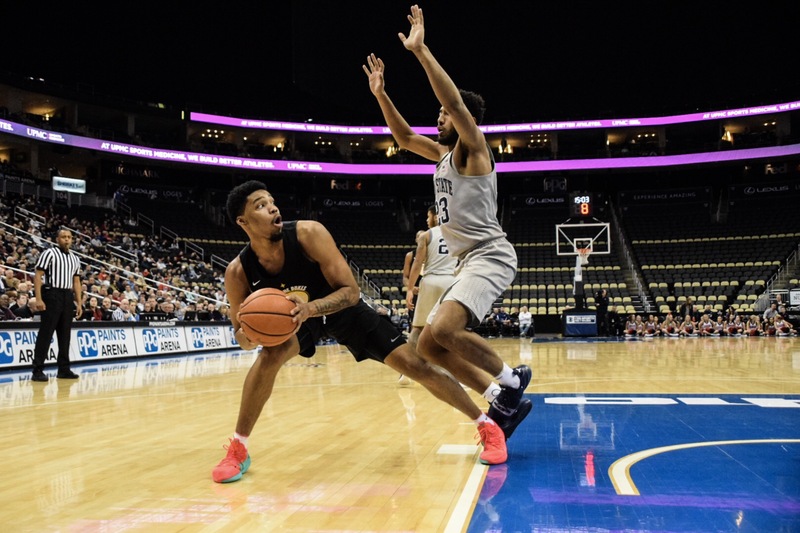 The Billikens will be looking for a bounce-back game after a somewhat lackluster showing in Pittsburgh on Wednesday night in what was their first loss of the A-10 campaign. Davidson, on the other hand, is starting to get their three-point shooting going, after hitting 11 threes in their victory over GW at home on Wednesday. Both teams enter this game at 5-1 in the conference, and are also on their last life in their hopes for an at-large bid. Duquesne may not be a bad loss for SLU now, but Saint Joseph’s certainly is for the Wildcats. This is do-or-die time now on both sides, as well as being a crucial game standings-wise a well. Grab the popcorn, this should be a good one! This is a very appealing matchup between two of the top teams in the conference that will really tell us a lot. The Dukes come in riding high after their victory over Saint Louis which has Duquesne in the driver’s seat for a top-4 seed as it stands now. As such, they can take themselves back out of said seat just as quickly with a loss to the Rams. VCU suffered a road setback at Rhode Island this week, and they now find themselves in a three-way tie for fifth place. Another loss for the Rams would all but kill their at-large hopes, and would create an uphill battle for conference seeding the rest of the way. This is hugely important game for both teams. Grab another bag of popcorn, this ought to be another good one! Winners of five of their last six games, including four straight, George Mason finds themselves at 6-1 in the A-10 and in first place for the first time ever. Following a big road win at Dayton this week, Mason finds themselves with the opportunity to start 7-1, just a year removed from finishing 9-9 (the most conference wins for GMU since joining the A-10) against a foe they finally were able to tackle a year ago. GW had been the Patriots kyrptonite until GMU finally was victorious at home, 72-65, which was their first win over the Colonials since joining the A-10. For the Revolutionary Rivalry to be a viable rivalry, it needed last season’s victory. The Colonials nonetheless will most certainly give this game their best shot, after hanging with Davidson on the road this week. GW is 2-4 in the A-10, but is, as @peteybuckets but it in the new “Hey10 podcast”, the Colonials are an “A-10 landmine,” just sitting waiting to disrupt someone’s season. George Mason will need to be careful not to have a letdown game after their big win at Dayton, and take care of business if they really want to be taken seriously. I think the most shocking result of A-10 conference play to this point is UMass at 0-6. This is a team that game Nevada a game, and now can’t buy a win against La Salle. That’s brutal. To be fair, they have played four of the top seven teams in the conference to date, but still it’s almost impossible to think that a team with this much talent is still unvictorious in conference play. You know the Minutemen will be ready for this one. On the other hand, Rhode Island has managed to get their name in the mix of teams vying for the conference title, or at the very least, a top-4 seed. The Rams took down VCU this week at home, and will look to continue their ascent through the standings. Definitely a game to keep an eye on as well. Daniel Frank is a member of the George Mason Class of 2022. He graduated high school from the Academy For Individual Excellence in Louisville, KY. He has written for several blogs, and has been published in The Washington Post. Daniel has been following GW basketball since he was 2 months old, but has started following his Mason since being accepted in 2016.